OXFORD, Miss. – Ask any student what he or she finds interesting, and you’ll be hard-pressed to find one who answers with the field of tax litigation. But with many Mississippi cities pushing for an increase in sales tax to improve crumbling infrastructure, young people like Ridgeland native Madison Coburn understand that knowledge of the field is critical to tackling such complex issues. Coburn is researching the legislation, officially called the Marketplace Fairness Act, that would allow states to require Internet sellers to collect state sales taxes just like physical retail stores. “The Marketplace Fairness Act is an incredibly important topic to study, given the changing nature of interstate commerce,” said Eric Weber, UM associate professor of public policy leadership. “Companies like Amazon have changed the way we do business, but they have also had the advantage of avoiding sales taxes, which local retailers and booksellers have reasonably found unfair. Coburn remembers deciding her freshman year that she was interested in law and would apply for law school before graduation. Her desire was affirmed last spring when she took a course offered through the Sally McDonnell Barksdale Honors College at the School of Law that introduces the subject of law. Growing up an Ole Miss fan, Coburn was familiar with the university but considered other schools for her undergraduate studies. However, during her official visit to campus, she realized that it was the best fit for her because of the academic opportunities, such as the Introduction to Law course. Richard Gershon, Dean of the UM School of Law, remembers Coburn as someone who would be a great asset to the law profession. “I am excited that she wants to be a member of the legal profession, because she has the drive and people skills necessary to be a great lawyer. A member of both the Honors College and the Trent Lott Leadership Institute, Coburn credits each for teaching her new ways to think and learn. She is also a member of organizations such as Leap Frog, Columns Society, Big Event, Ole Miss Ambassadors, Delta Delta Delta sorority and the Associated Student Body, which all taught her new ways to serve and lead. 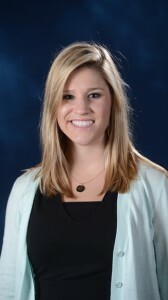 The daughter of Philip and Angie Coburn of Ridgeland, Coburn is a graduate of Jackson Academy.